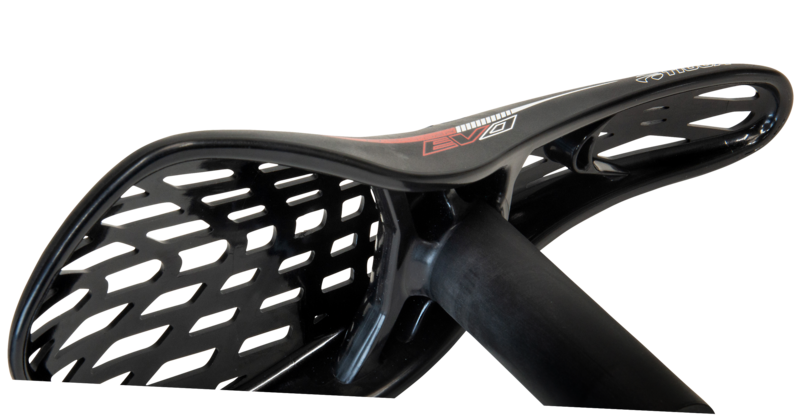 Function meets new form in the 125g D-Spyder EVO Carbon racing saddle with integrated post. 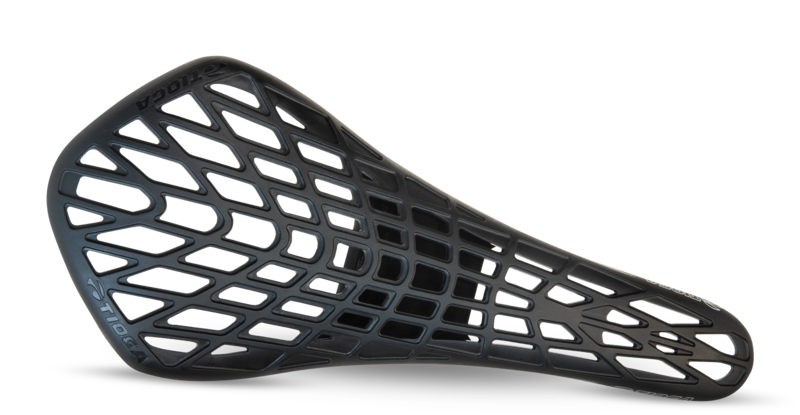 A shape designed purely for track-use only, the EVO is uniquely sleek and slim to ensure zero disruption under any riding motion, sculpted with swooping contour lines to match the fluid lines of modern pro-sized frames. The EVO is 5mm longer than the iconic D-Spyder Pivotal to complement the visual proportion with pro-sized frames. 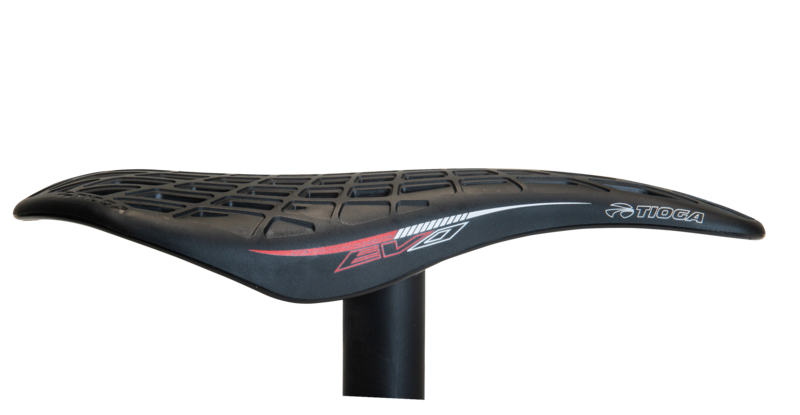 Its width is 25mm narrower, assuring the saddle never interferes with any riding motion. The integrated post is reinforced with carbon fiber insert, keeping the system strong and feathery-light. 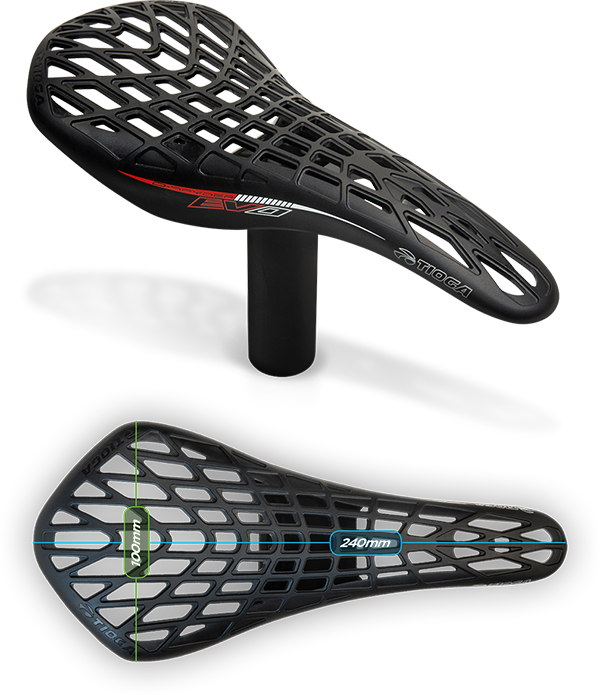 For those with a dedicated warm-up/cool-down saddle, the EVO is the evolution of the ultimate race time saddle.